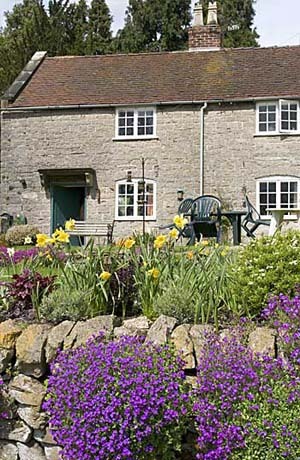 Tissington in Derbyshire, is a well managed estate village which has an ideal blend of duckpond, trees, cottages, church, tearooms and an old hall. 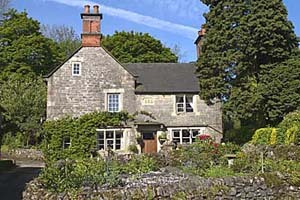 To many, Tissington seems to be the model village. 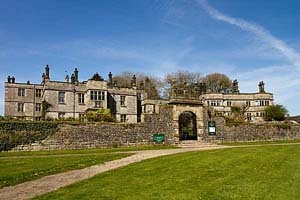 Tissington Hall is a large and very fine Jackobean mansion and home for the Fitzherbert family for over 400 years. 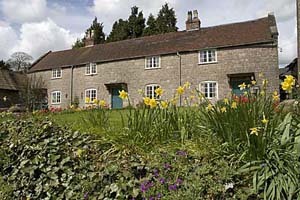 The house was built in 1609 for Francis Fitzherbert possibly incorporating parts of an earlier hall. 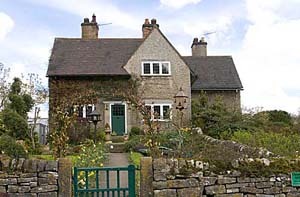 The property had become a seat of the Fitzherberts around 1465 when Nicholas the second son of John Fitzherbert of Somersal married the Tissington heiress. 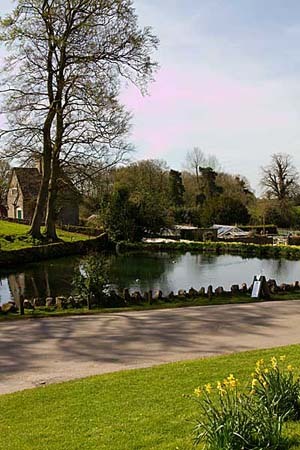 During the Civil War Tissington was garrisoned by Colonel FitzHerbert in support of the King. 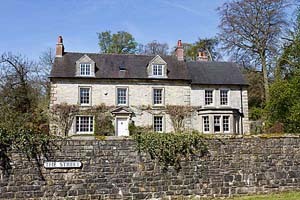 Improvements were made to the house by William FitzHerbert in 1670 and it was remodelled at the end of the 18th century. A major restoration took place in 1910 when the library wing was added. The whole roof is hidden by a parapet and is topped by ornate chimneys. The FitzHerbert coat of arms is portrayed above the two-storey porch and the windows are mullioned and transomed. 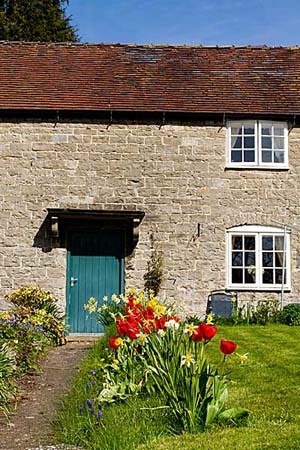 In front of the house is a low wall with a fine central gateway. Inside, the large central entrance hall has its original panelling and neo-Gothic plasterwork and an elaborate fireplace from about 1750. The ornately carved staircase is also original. The drawing room is on the upper floor and has handsome panelling with fluted pilasters. The house contains some fine furniture and furnishings. 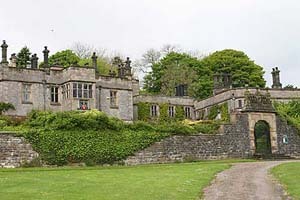 The terraced gardens were laid out in 1913 and offer lovely views over the surrounding countryside and over grassy banks to the Parish Church of St Marys.It is still occupied by members of the same family and has only in recent been opened to the public on special occasions or by prior arrangement. 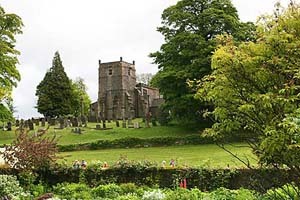 Tissington church dates back to Norman times and much Norman work is to be seen inside despite being restored in 1854. It has a 2 decker pulpit, a Norman font and many monuments to the Fitzherbert family. 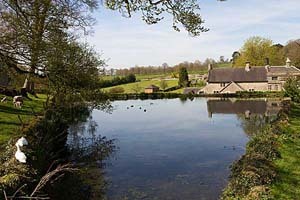 The old school has been turned into tea-rooms and is adjacent to a large duckpond complete with ducks. 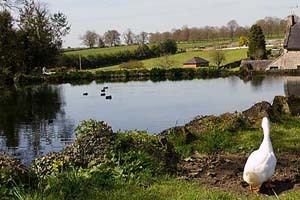 Just off the car park runs the Tissington Trail, an easy and pleasant walking and riding route which follows the line of the former Ashbourne to Buxton railway line. 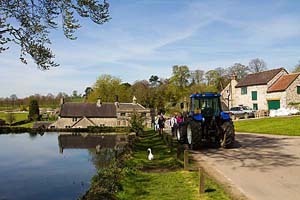 You can hire cycles ( in season ) to ride along it or just walk through some fine countryside. 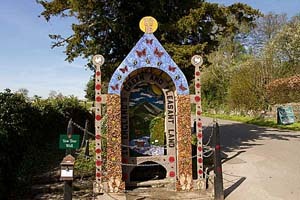 Well dressing takes place in Tissington at ascentiontide. The 5 wells and 1 childrens well are dressed to depict varing religious themes. Natural materials such as flower petals and mosses are pressed into clay set in a wooden frame, to form a unique and colourful picture. The tradition is supposed to have originated as a thanksgiving for the endless supply of pure water to the village. 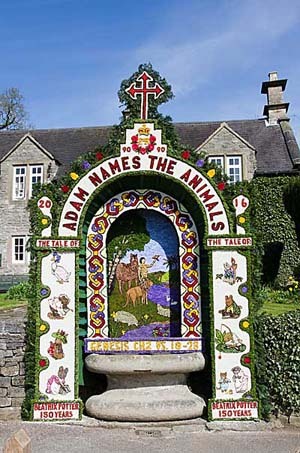 Many villages have well dressing ceremonies but Tissington is probably the most famous. 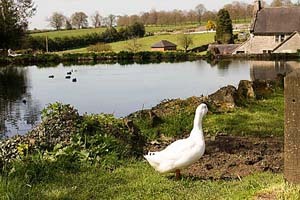 To get to Tissington, take the A515 out of Ashbourne, heading for Buxton, then take signposted right turn after about 4 miles. 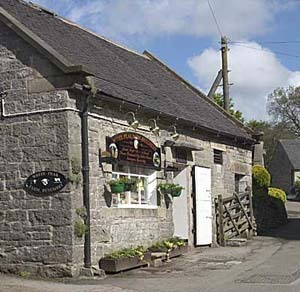 Pass through the iron gates and follow the long lane down to the village. 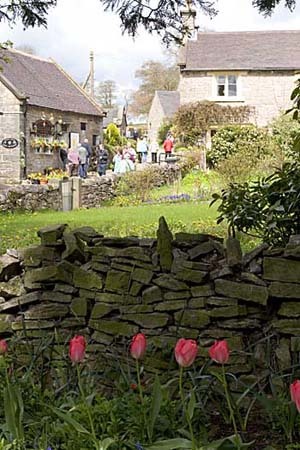 Continue through the village for a further 200 yards and you will arrive at a large car park on your right.. which also has toilet facilities, a small shop and cycle hire in season.